Stepes is the birthplace of the world's major languages. Now Stepes.com brings you human translations from around the world. By seamlessly connecting businesses and individuals with the world's linguists through our on-demand translation eco-system, we help break down language barriers between businesses and their customers, and among nations and people. 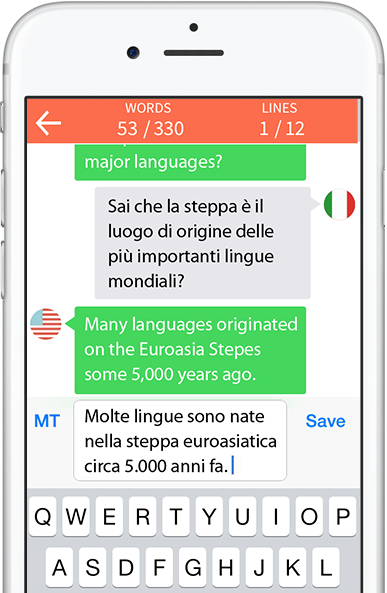 Stepes is powered by TermWiki.com – the world's largest multilingual terminology platform with millions of technical terms translated into 100+ languages by professional translators from around the world. Recent studies have found that more than 400 of the world's major languages and dialects including Germanic, Slavic and Romance languages as well as classical Sanskrit and languages of the South Asian subcontinent originated on the Eurasian Stepes (also spelled Steppes) some 5,000–6,000 years ago.